Swimmer Michael Klim's Milk range is a medley of quality and value (others charge way more for inferior product). 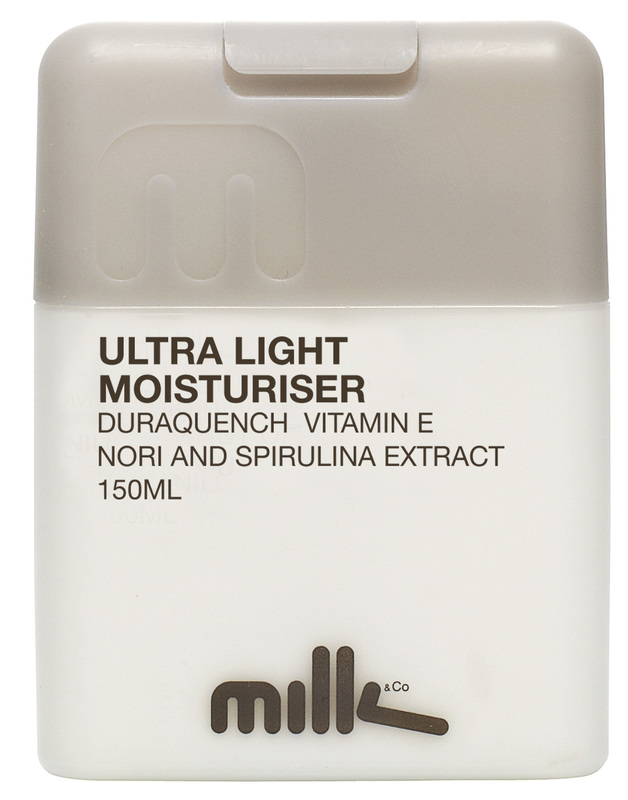 The newest addition Milk Ultra Light Moisturiser, $14.95, prevents dehydration with jojoba oil, includes the antioxidant vitamin E and powers out of the turn with anti-inflammatory aloe vera. It is also speedlily absorbed and made using entirely recyclable packaging. Go. Buy. Now. Posted on September 2, 2013 by David Smiedt.